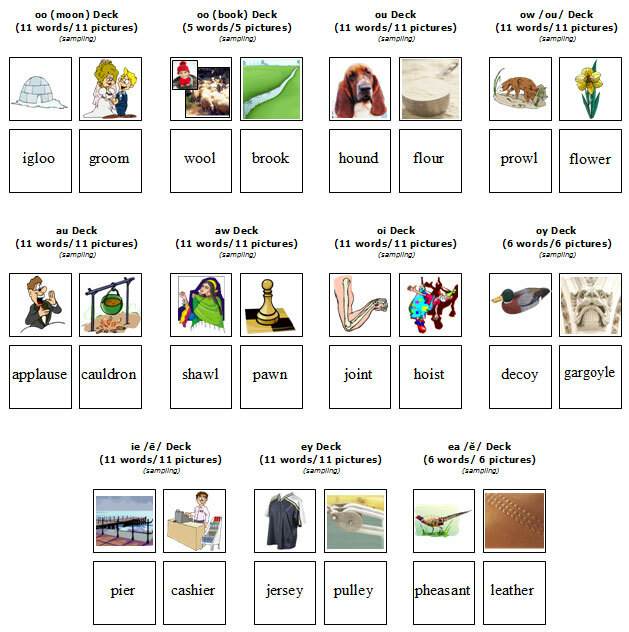 Purpose: To develop vocabulary while practicing decoding skills. 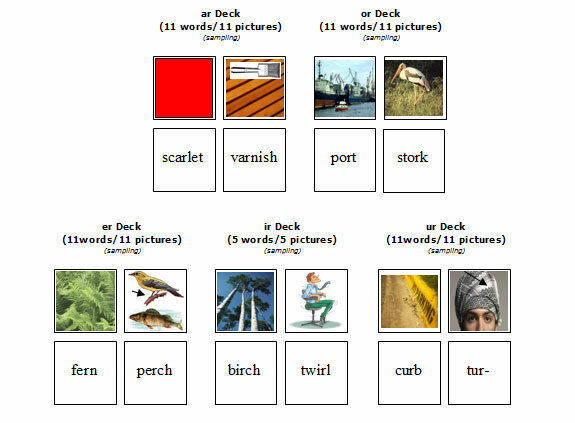 Description: Each item includes decks made up of word cards and matching pictures. 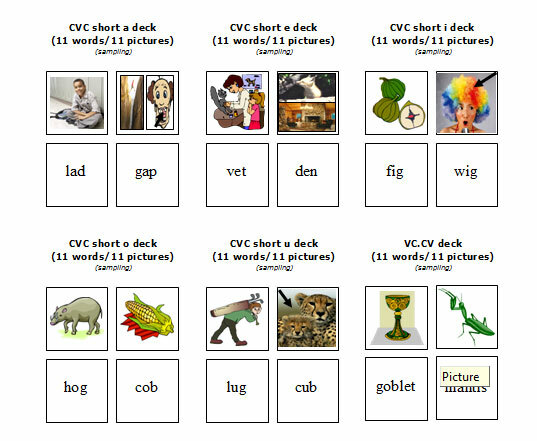 Phrase and Sentence Games are available to (SG1-SG6) reinforce the vocabulary words, allowing additional exposure to word meanings. Match It: Pictures are spread out on the table, face up. 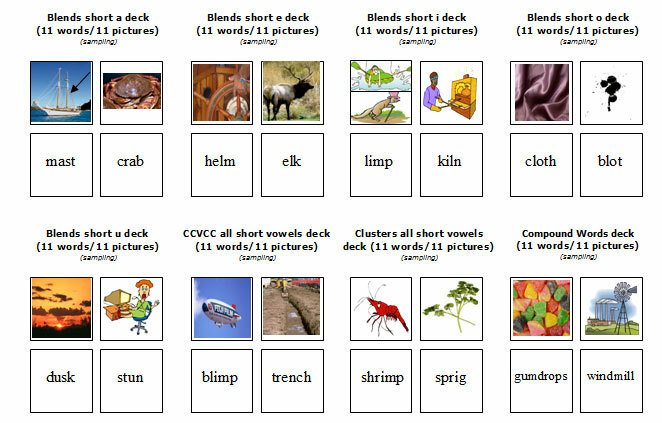 Students read word cards and place them on corresponding picture cards. 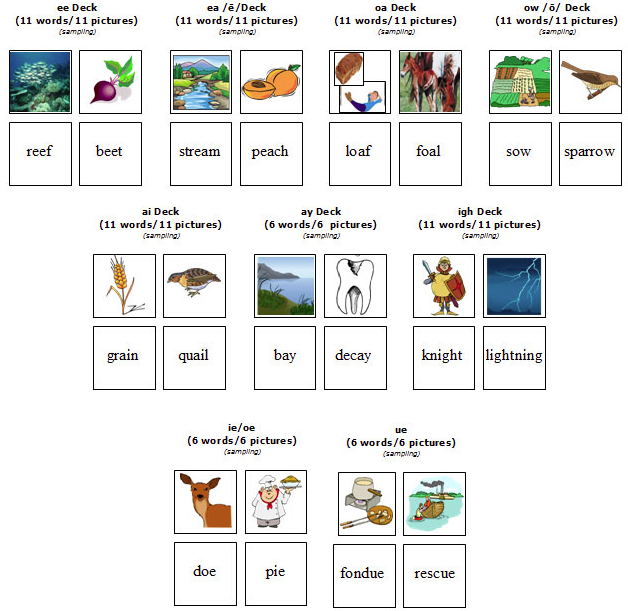 Memory (Concentration): When students become proficient with matching activities, they can play memory. 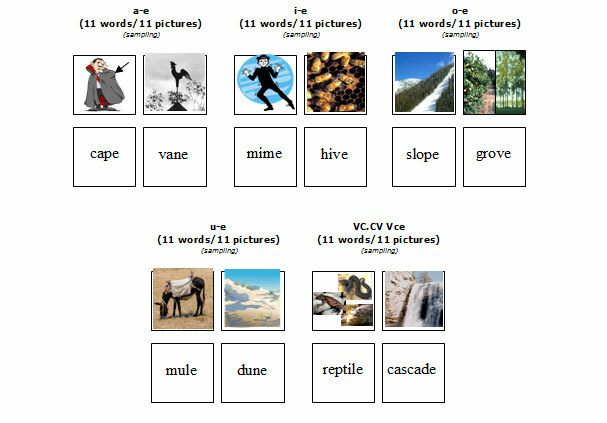 Sort the pictures and word cards. Place the pictures face down on one side of the table, and the words face down on the other. Students take turns turning over cards and making pairs. 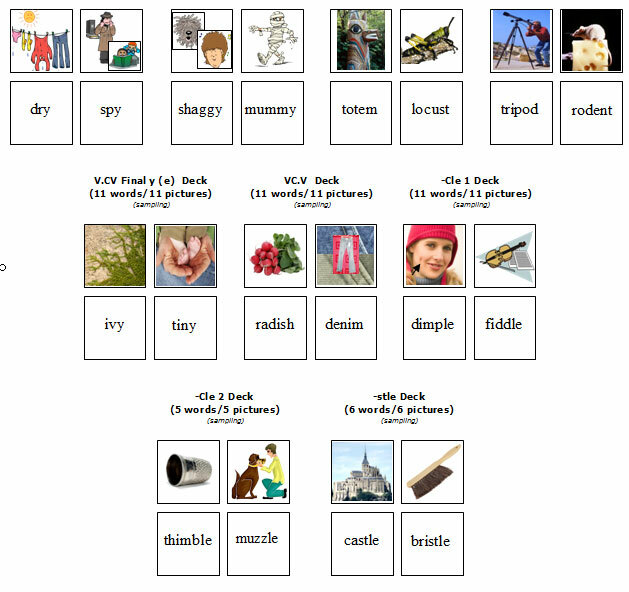 This item includes Match It: Vocabulary Sets 1 through 8.